Forever a student of life, Pamela Russell enjoys creating fullness of being, not only for herself but also for the people she works with. She believes exploring the ever-expanding human potential is a joyful progression of discovery. Pamela’s work is largely formed by the tools of PSYCH-K®, Classical Five Element Acupuncture, and Energy Medicine. 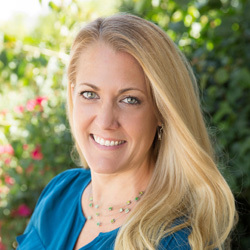 Her extensive background in the healing arts and meditation allows her to utilize these body-centered healing modalities to effect change in her clients lives. Pamela first started exploring and deepening her love of health, movement, and change in 2002 by studying Iyengar Yoga. In 2004 she embodied the interweaving of the physical and emotional body with spirituality by studying Vajrayana Buddhism and Meditation with Reginald Ray. At the same time she attained her Bachelor’s degrees in Kinesiology and Deaf Studies at Cal State University, Northridge. Pamela continued her quest for transformative modalities with Zero Balancing and in 2008 completed her Master’s degree in Acupuncture from the Institute of Taoist Education and Acupuncture (ITEA) in Louisville, CO.
Pamela works with the spectrum of life: from aging, illness, and dying to a keen understanding of toddlers and infants. As a mother herself, one of her passions is to work with expectant mothers and parents. Pamela believes that by staying curious and continuously growing as an individual, one creates lasting transformation in their life, blossoming and thriving. Pamela enjoys seeing people transform through this rare blend of work and how it empowers each person toward balance and health. Available For: Phone & Zoom sessions that work just as well as being in person. With online sessions you can balance in your PJ's from the comfort of your own home. Priceless!